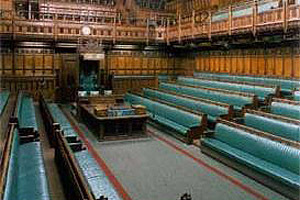 The UK public elects Members of Parliament (MPs) to represent their interests and concerns in the House of Commons. MPs are involved in considering and proposing new laws, and can use their position to ask government ministers questions about current issues. Brighton Kemptown extends into Lewes District and includes Peacehaven. There are 650 Members of Parliament (MPs) for the UK. MPs split their time between working in Parliament itself, working in the constituency that elected them, and working for their political party. Some MPs from the ruling party become government ministers with specific responsibilities in certain areas, such as Health or Defence. In their constituency, MPs often hold a 'surgery' in their office, where local people can come along to discuss any matters that concern them. MPs also attend functions, visit schools and businesses and generally try to meet as many people as possible. This gives MPs further insight and context into issues they may discuss when they return to Westminster.